Discover how to learn Danish with the Pimsleur Method. 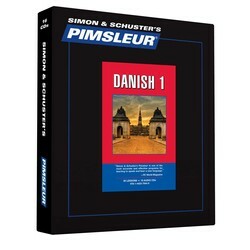 Start Speaking Danish using the Pimsleur App! Danish is derived from Old Norse. Because of the large number of similarities between Danish, Norwegian, and Swedish, knowledge of any one of these languages makes it possible to understand the others. This is true for both spoken and written forms. 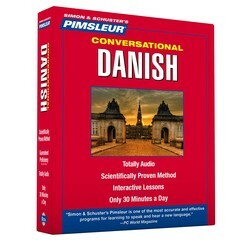 Learn Danish today with Pimsleur. Lessons 1-16 from the Danish Level 1 program on 8 CDs (8 hrs). Each lesson contains an introductory conversation, and new vocabulary and structures. Learn the essentials - greetings, numbers, meals, shopping, directions, time, and more.